"A regular series of afternoon air displays at Hood Aerodrome"
hen it comes to remembering the First World War and the sacrifices made by our forebears, historically Australians and New Zealanders have placed more significance on Anzac Day memorials on the 25th April, rather than the more globally observed Remembrance Day celebrations which commemorate the Armistice on the 11th of November 1918. However in recent years this has been changing and as the size of crowds at Anzac Day parades has increased year after year, so too has the number of people attending Armistice/Remembrance Day celebrations. 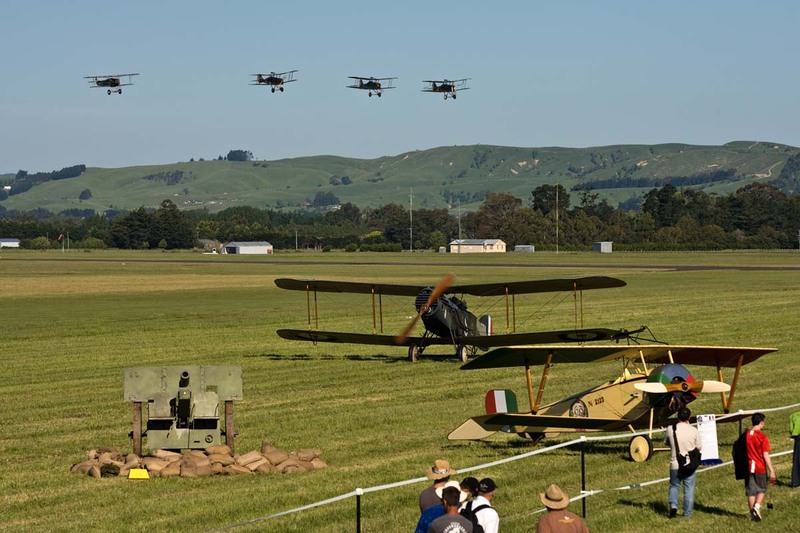 With this in mind, The Vintage Aviator Ltd (TVAL) recently held the first of what is planned to be a regular series of afternoon air displays at Hood Aerodrome in Masterton, New Zealand. 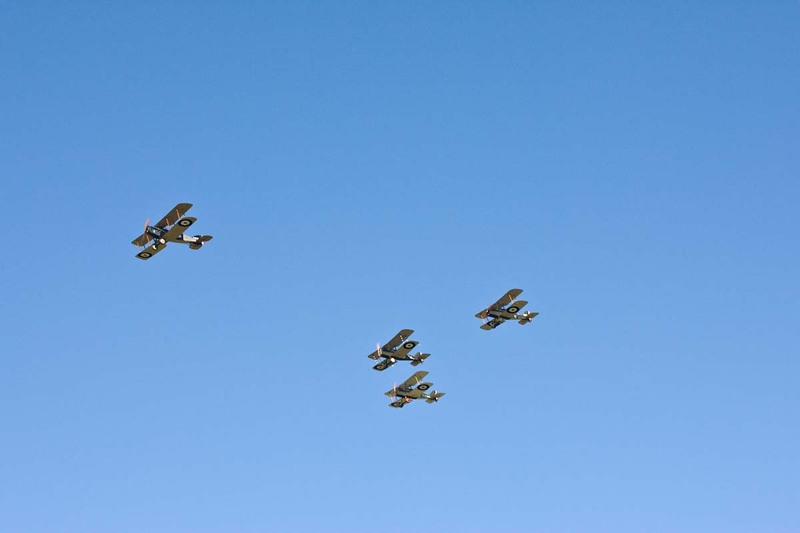 Billed as a Remembrance Day World War One Aerial Display, the show got underway at 3:00pm, and for the next two and a half hours provided the small but enthusiastic crowd with a glimpse of what the 1914-18 air war was all about. Displays included a mock hand-held bombing run complete with flour bombs by a DH-82 Tiger Moth (playing substitute for the recently damaged Avro 504k), a dogfight between the diminutive Nieuport 11 and a Pfalz D.III, displays by a formation of three Fokker Dr.1 Triplanes, and a second one-on-one dogfight between the rotary powered Sopwith Camel and a Fokker D.VII. Mixed in with this WW1-era activity were the barnstorming ribbon cutting displays by a Tiger Moth and Stampe, and later in the afternoon a balloon busting competition between the Tiger Moth, Stampe and Tri-Pacer. The climax and highlight of the day for most was the massed dogfight between the three Fokker Dr.1 triplanes and three Royal Aircraft Factory SE.5a's. 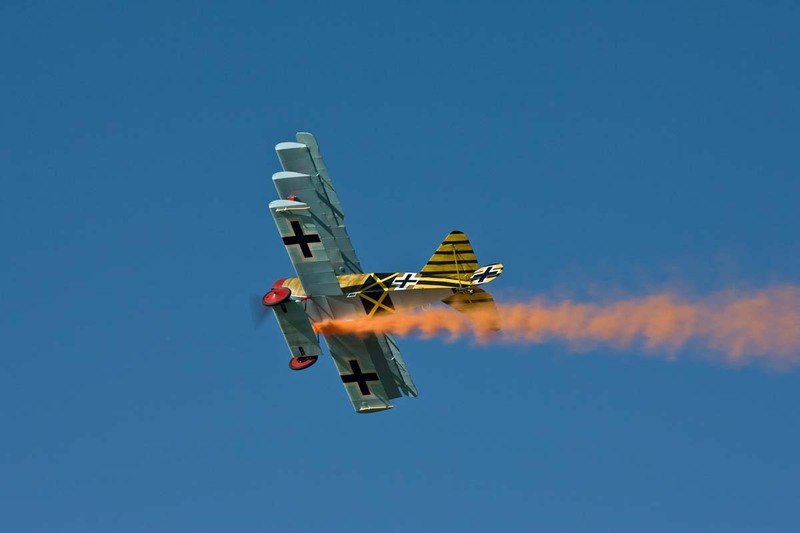 With six aircraft twisting and turning at both high and low altitude right in front of the crowd line, the appreciative audience could easily imagine the ferocious aerial battles that took place over the Western Front in the latter part of the Great War. Once the fight was over and the Royal Flying Corps aircraft emerged victorious, the more poignant part of the day took place. 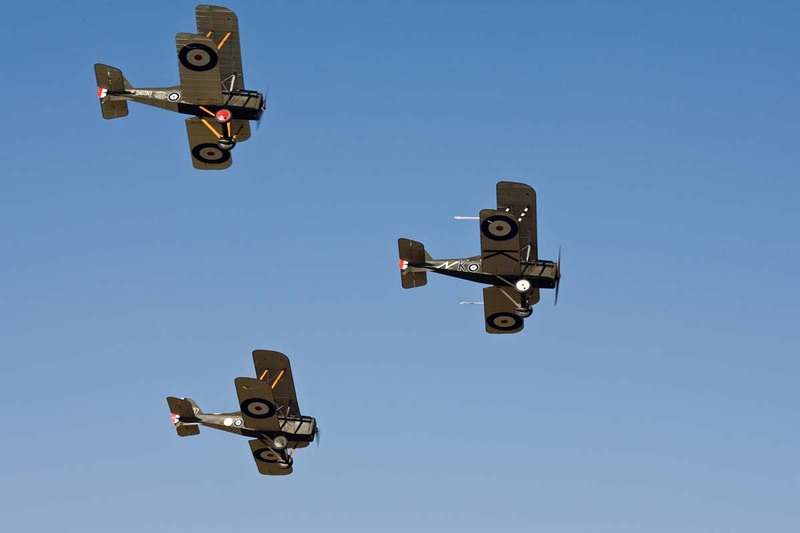 TVAL's original Bristol Fighter F2.b aircraft took to the skies, and along with the three SE.5as and Fokker D.VII, flew a missing man formation as a tribute to all airmen who perished during the conflict. As the F2.b flew along the crowd line, several hundred Remembrance poppies were dropped from the aircraft, reminding the crowd of the significance of the day and the event. 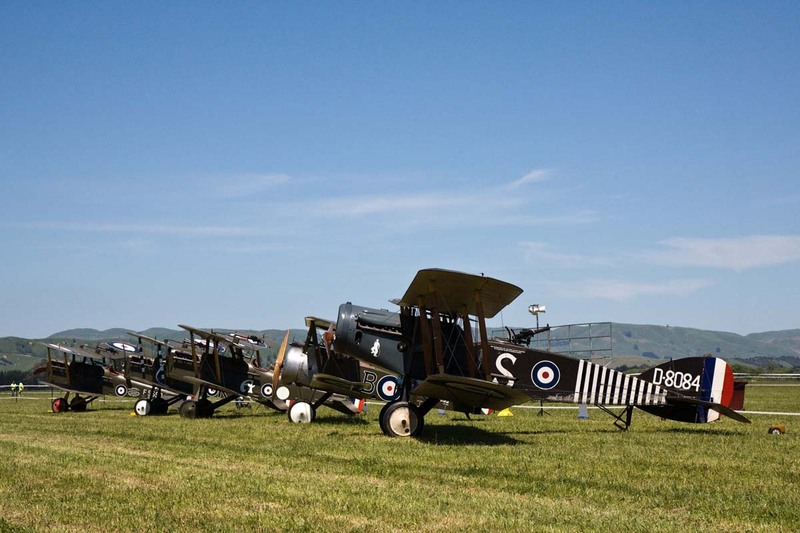 As The Vintage Aviator's WW1 aircraft collection is growing it's planned to have further regular flying events at Hood Aerodrome along the same lines as this first display. The next display day is scheduled for March 14, 2009, while current plans for the 2009/2010 airshow season call for at least three or four display days over the summer months. 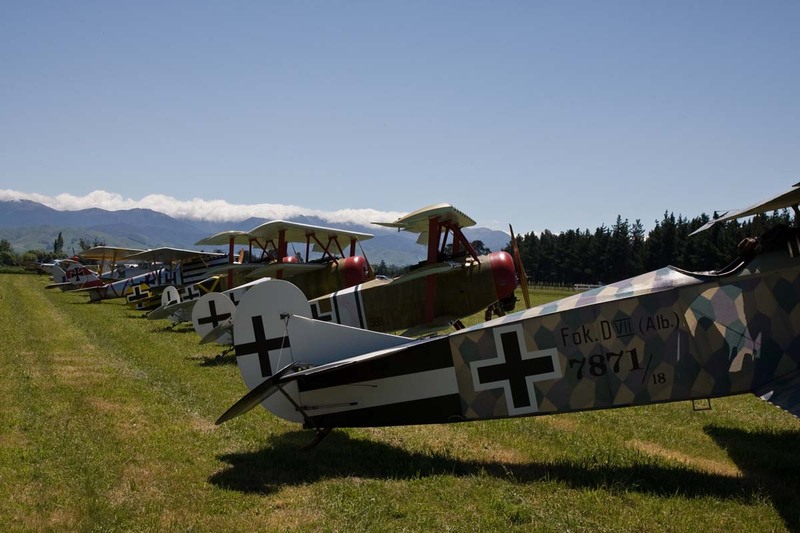 Your next chance to see The Vintage Aviator's aircraft in action will be at the Wings Over Wairarapa airshow at Hood Aerodrome in Masterton early in 2009 (17/18 January). Late in the season there will be an opportunity to see some of the aircraft at the Classic Fighters airshow in Blenheim (10-12 April) .